As many of you know, during summer, the library is busier than ever delivering programs, trying to reach kids and teens when they’re out of school and adults, as always. The latest results from our elementary schools in Richmond on the California Assessment of Student Progress and Performance shows that on average, across schools, 47% of students are not meeting the English Language Arts/Literacy standard. For our public high schools, outcomes are similar. These underline how much more work we need to do to prepare our youth for better futures. Library programs are part of that. In 17 sessions, the Reading Heroes program, aimed at improving children’s reading skills, served a total of 321 children. This was accomplished by volunteers contributing 192.5 hours. 250 kids participated in the Summer Reading Game, with drawing prizes by the Friends. STEM (Science, Technology, Engineering and Mathematics) workshops took place in August with a total of 63 kids who built circuits and towers with provided materials. Additionally, 776 people enjoyed specialized children’s programs and other activities sponsored by the Friends of the Richmond Public Library. For adults, a well-attended author talk by Mary Monroe, financial and legal seminars, along with Summer Reading Games for both adults and teens rounded out the offerings. And, for kids of all ages, two distinguished professors, pictured below, led eager participants on Pokémon Go Safaris! Añgela Cox, Teen Services Librarian announced that the Teen S.A.T. Workshop garnered a silver award for Best Testing Preparation Program by Parents Press Newspaper’s Contra Costa County voters. Each year, she puts her heart into preparing young people for success via this program, which the Friends sponsor. In May we reached out to members, exploring potential activities and their suggestions. Thank you to all of our respondents! Here’s the scoop: The response rate was an incredible 40%. This demonstrates that our members are engaged and care about our organization and its mission. They support book sales, which are a critical fund raising mechanism, they donate books and/or purchase them from us. 64% have read our newsletter, a key in our ongoing communication and community building. 58% have borrowed materials from the library in the past year. 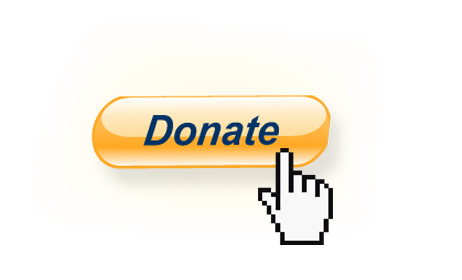 Raise funds for the library (69%), build a culture of literacy (41%), act as an advocate for library funding (41%). Their suggestions for programs include: author talks (46%), large book sales (27%), with additional tips on resume writing workshops, special programs like music in the library, doing joint programs with the Richmond Public Library Foundation and the Library Commission. Current book donation hours were cited by a few members as too narrow and inconvenient. We’re working on that. Thanks to all of our members for their thoughts and suggestions. The New York Times recently reported on libraries becoming more relevant than ever as they serve the community in more ways. Children’s Art is on the walls of the West Side Branch. The geometry is cool. Check out the talented works in person- we can’t do them justice here. Thanks again, to Camille Zulpo and her students. We hope that you are enjoying these long days. So far, the Friends of the Richmond Public Library are sponsoring eleven programs during the summer. While most are intended for kids, even adults can attend and participate. Take, for example, the Nor Cal Bats program, which I attended at the West Side Branch. The organization works with injured bats, rehabilitates them and releases them into the wild. Bats are fascinating creatures with an undeservedly bad reputation. One of the bat species brought to the program, a Mexican free tail bat, can fly up to 60 miles an hour, in the dark, and pinpoint its insect prey by awesome, sonar-like, echolocation abilities. The kids and adults attending were mesmerized. Below are photos of this bat program. Two more will be on July 13 (Main Library) and July 26 (Bayview Branch). Check our calendar for details. Each year, the Friends of the Richmond Public Library fund summer reading programs. These fun games encourage reading, library use and exploration, with prizes going to the players/raffle. Here are a few highlights, with details on the Library’s website via the links provided below. Go ahead and enter. We are sponsoring a reading and talk by the author of Every Woman’s Dream, Mary Monroe. Come to the Whittlesey Room at the Main Library (325 Civic Center Plaza) on Saturday, July 9, from 2 to 3:30 PM for this free event. Copies of her latest book will be available for purchase, with proceeds benefiting The Richmond Public Library Foundation. On a closing note, we received a great response rate of 40% on our May survey, mailed to members. Thank you for your views and suggestions! We’ll report out next month.